PSA plans 2,200 voluntary job cuts at French plants this year. PARIS -- PSA Group plans to eliminate 1,300 French jobs in 2018 using a new form of voluntary cuts introduced by President Emmanuel Macron, an official for the CFTC union said. The departures, roughly equivalent to buyouts, are part of 2,200 voluntary job cuts planned this year, CFTC leader Franck Don said on Tuesday. PSA is among a first handful of companies that have announced plans to use the new flexible labor measures introduced by decree within months of Macron's election last May. Unions have criticized the so-called collective contractual termination agreements, which let companies negotiate layoffs without having to prove they are in financial difficulties. Clothes retailer Pimkie is seeking union approval to cut 208 jobs under the new measures. 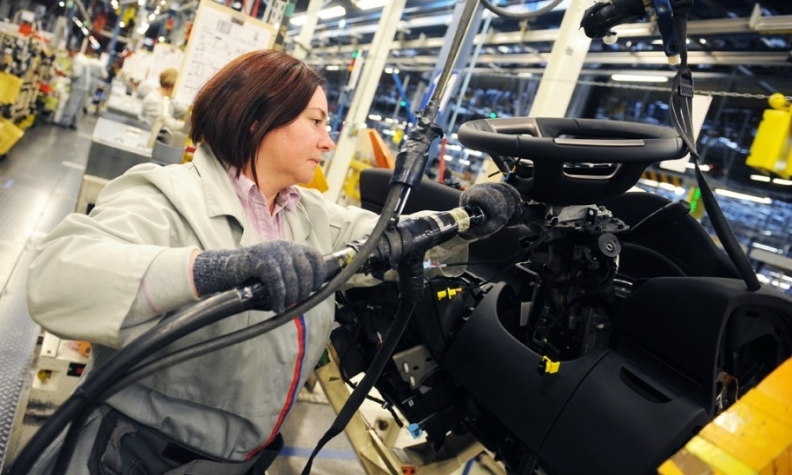 PSA said on Monday that it will cut 250 more jobs at its Vauxhall plant in Ellesmere Port plant in northwest England on top of around 400 cuts announced last year, reducing the plant's output to one shift.